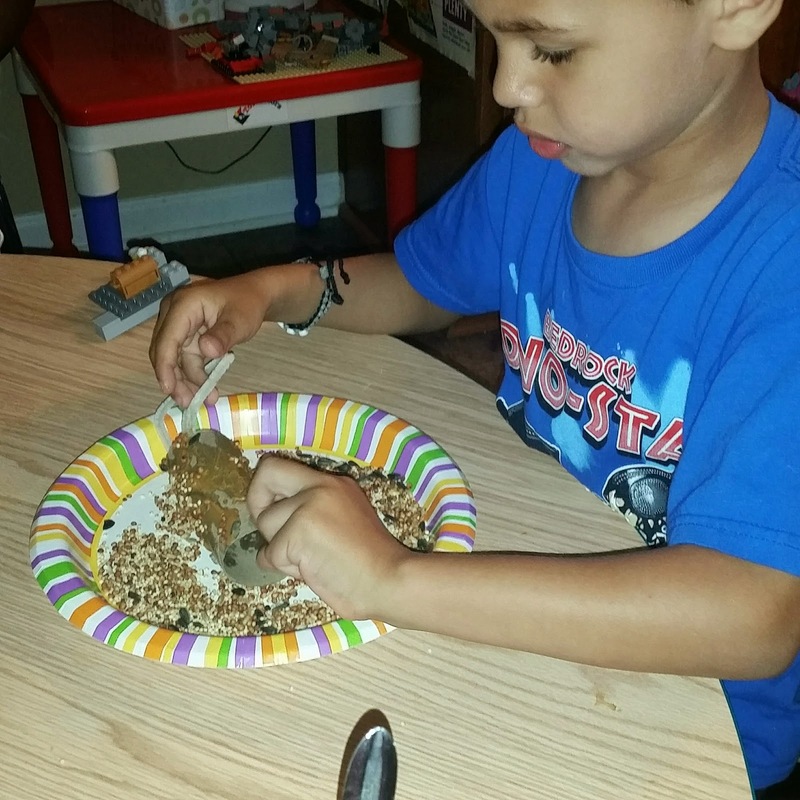 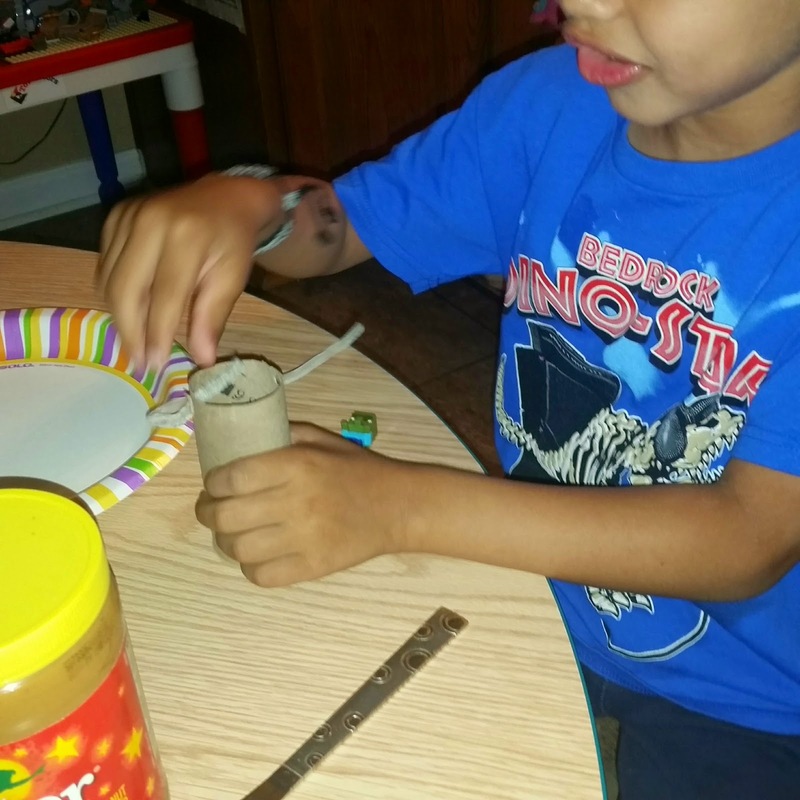 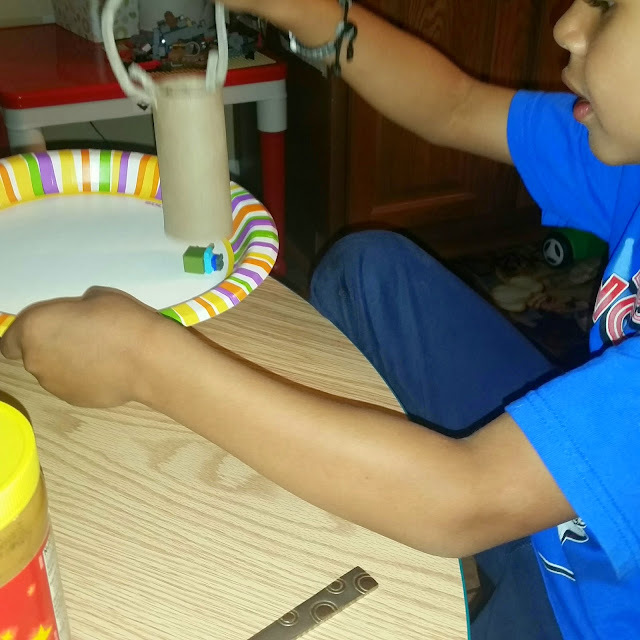 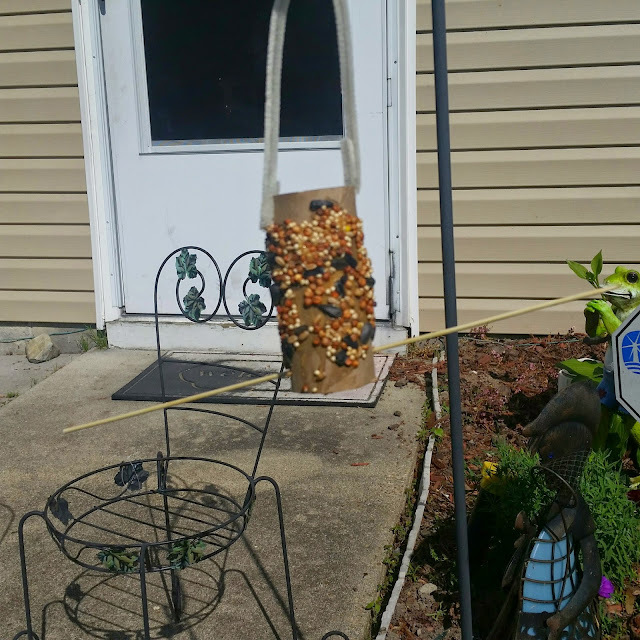 The other day we made some cut little bird feeders and I thought I would share with you! 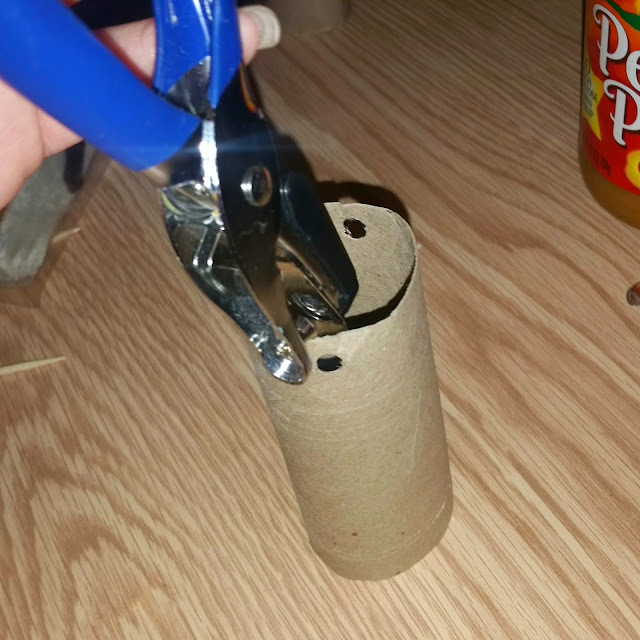 (legos optional LOL) First your going to start with punching holes in the toilet paper rolls at the very top across from each other. 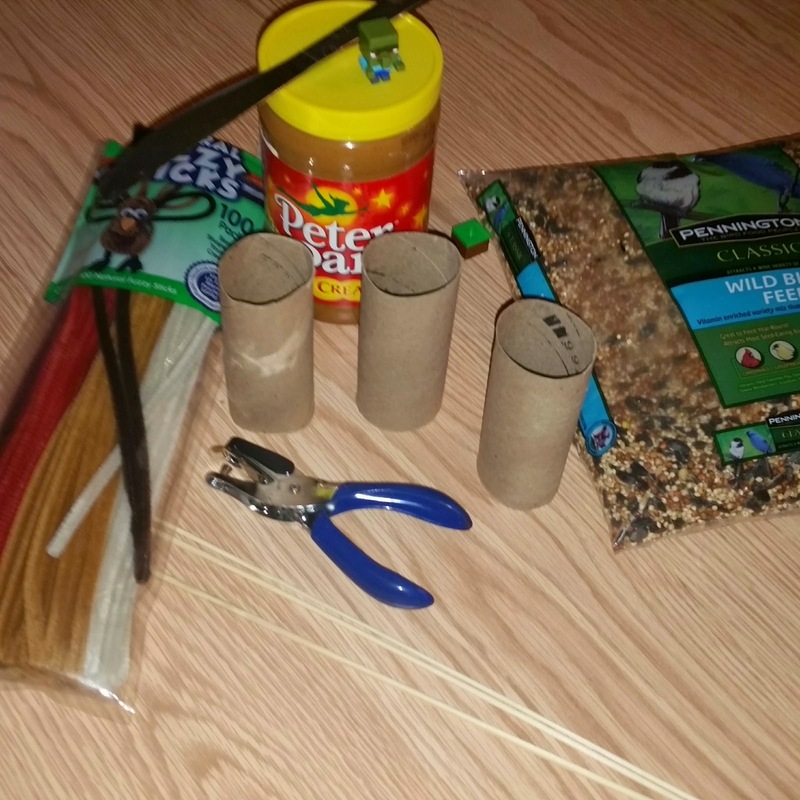 Next you take your skewer and go straight through the bottom of the toilet paper tube (this is the part the birds sit on) I don't have a picture of this step because I did it instead of letting him do it. 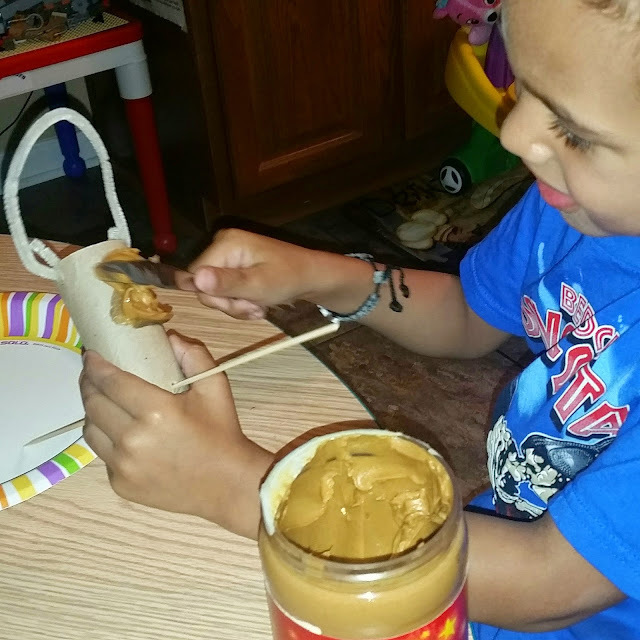 Then you grab your knife (or if your child is making one, the spoon) and smear on the peanut butter. 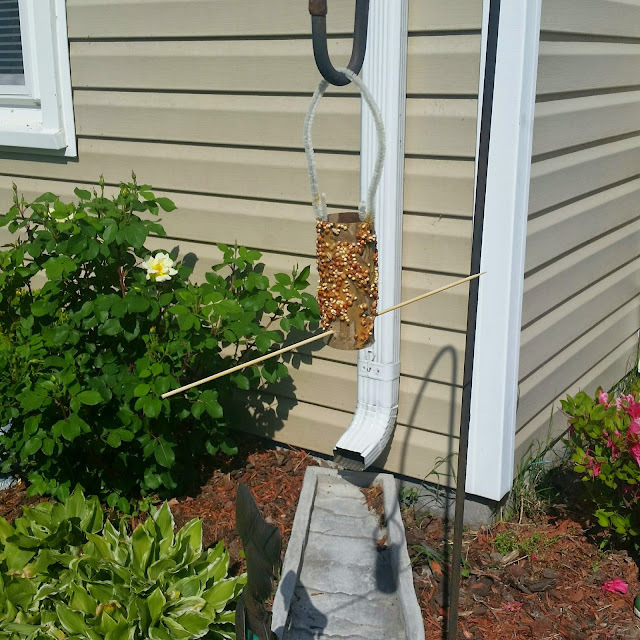 Take out the skewer and roll it in the bird feed, replace the skewer and your all done! The cutest little bird feeder for summer!